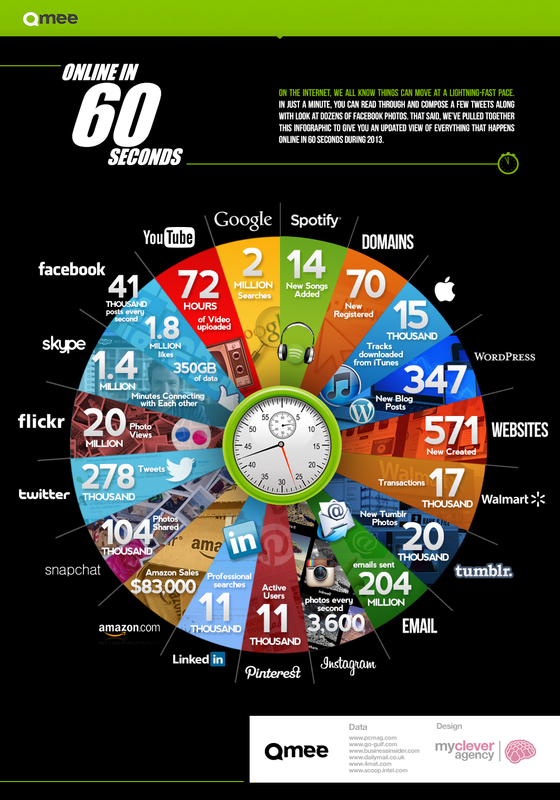 This infographic shows what happens in 60 seconds on some of the most popular domains/apps. Some stand out stats include the fact that in 60 seconds there are 278 thousand tweets, 20 million photo views on flickr, 2 million searches on Google and 72 hours of video uploaded to YouTube. Rising social stars such SnapChat and Pinterest feature as well with 104 thousand photos shared on SnapChat and 11,000 active users on Pinterest.